Here is freedom from the piles of paper and overwhelming to do lists! We have gathered our very best tips and tools to help you organize your information and your day. We promise you will love it. Freedom from the piles of paper and overwhelming to do lists! The piles of paper are everywhere in our homes and offices today. We have never had this much information coming at us and we don’t have the systems or tools to handle it. Wouldn’t you love to keep your kitchen counter and desktop free? The constant lists with too much to do are a daily stress that is taking it’s tole on our health and happiness. We need new tools and ways to make decisions about what is most important each every day. As professional organizers for 15 years we have seen that these are the two biggest areas of pain. This pain is why we have put together this guide. 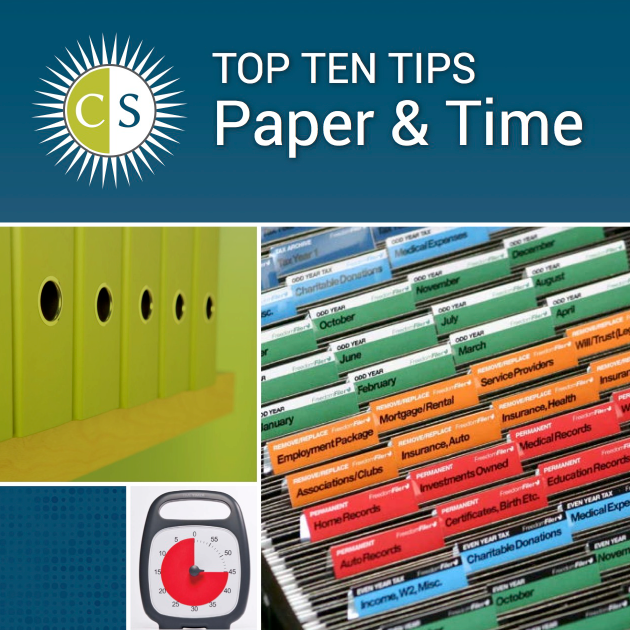 Our hope is that this guide will give you a new sense of control over your paper and time. We would love to hear back from you about your experience! We LOVE and use Circa regularly! 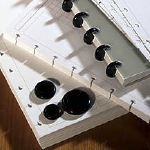 The disc system replaces the standard spiral notebook. With this fabulous systems paper can be removed, rearranged or transferred to other notebooks or planners easily.